Woodstock Wind Chimes of Mars 17" Bronze outdoor garden feature from the Encore Chime collection awakens the senses, drawing upon wind vibrations. Bronzed 'Chimes of Mars' wind chime is influenced from the mysterious "red planet" nicknamed after the iron oxide that is so prevalent on its surface. Hand-tuned to a universal, pentatonic scale ( 5 notes) and sounds in harmony with the wind, creating random patterns of wonderful sound. 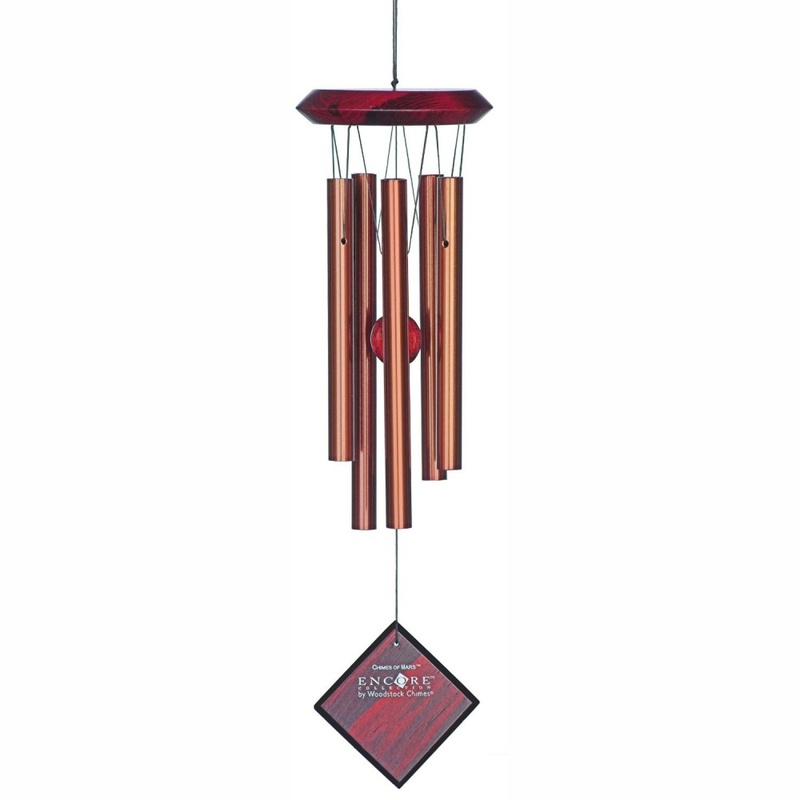 Construction using a combination of Bubinga finished wood, and 5 bronze aluminum chime tubes this Wind Chime dances beautifully with nature.